Daunting. That’s the word that often comes to the fore when people describe the prospect of figuring out how to support important causes in an effective and meaningful way. They are well aware of all of the “shoulds”: they know that they should be more thoughtful about supporting their communities; they know that they worked hard for their wealth and they should use their wealth conscientiously to make an important difference; and they know that they should include their family in using their wealth well. But, how do they change those “shoulds” into actions? Like with most things, it’s important to have nice manageable steps, that have tangible rewards along the way to keep folks engaged, feeling successful and to keep them going. I call these rewards, “high-five” moments. When I work with clients to develop a plan for their philanthropy, we start with exercises to discover and articulate values and interests. This is a process of self-discovery which is then shared and considered relative to others in the family. We review and capture the types of activities and projects that resonate as being game-changers. All this information sets the stage to craft a vision and mission statement. To arrive at the statement, we work on our own – we share as a group – we grapple with words, and borrow phrases – and finally, we land on that perfect statement that describes what the clients want to accomplish and how they will do this. With relief – and new energy – we jump up, arms outreached, for an incredible “high-five”. Using the vision and mission statement we conduct research to identify organizations and causes that match the clients’ objectives – a marriage of interests of sorts. 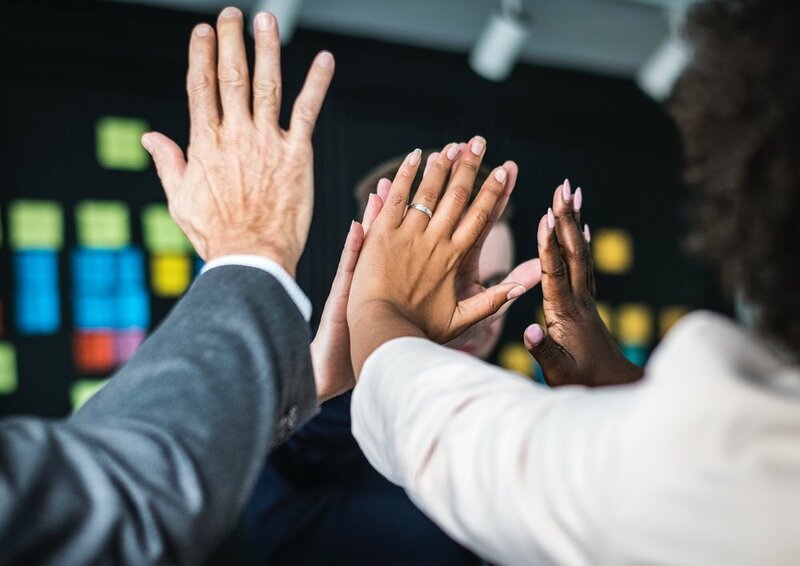 Finding this synergy and clarifying expectations and responsibilities between the organization and the donors conjure up another “high-five” moment - “Yes – we are going to make change”. And later, when the organization reports with joy just how the gift is making an important difference, it feels so SO good - and we reach up for yet another high-five. As a philanthropy advisor, I work with families and individuals to create and facilitate a safe and productive environment to articulate values, interests and goals. Together we develop and implement a plan to make giving meaningful, satisfying and effective. For more information on how I work with clients to assist them to give with heart and for impact please visit the approach and services pages on my website.